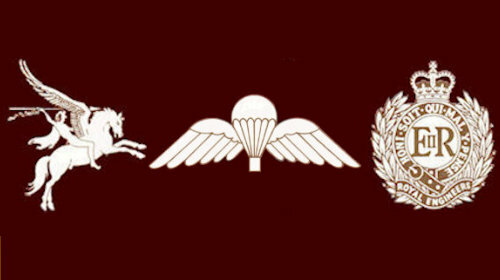 Birmingham Branch members have not been sitting at home but been out and about meeting others within the Airborne Brotherhood to visit and take part in events near and far and enjoy the company of friends old and new. During June members supported our regional PRA by attending their Regimental Memorial Day and Service at the National Memorial Arboretum. August saw some travel with Bedworth PRA to Scarborough and Catterick to be at a Parachute Regimental recruits passing-out parade and a visit to Eden Camp. No details of Scarborough though! We also joined 301 Tp. 131 Cdo Sqn RE at a leaving and promotion celebration, with an excellent curry in a far smarter bar than when we enjoyed a few temperate beers when it was ours! September was busy-Double Hills Memorial Service at Paulton, a most moving service in a scenic setting. Arnhem with 299 Association who as usual organised another memorable visit — on return one or two looked like they had just come off a route march. And Cromwell Lock, to remember those of 300 Troop who perished in that tragic accident during Ex.Trent Chase. 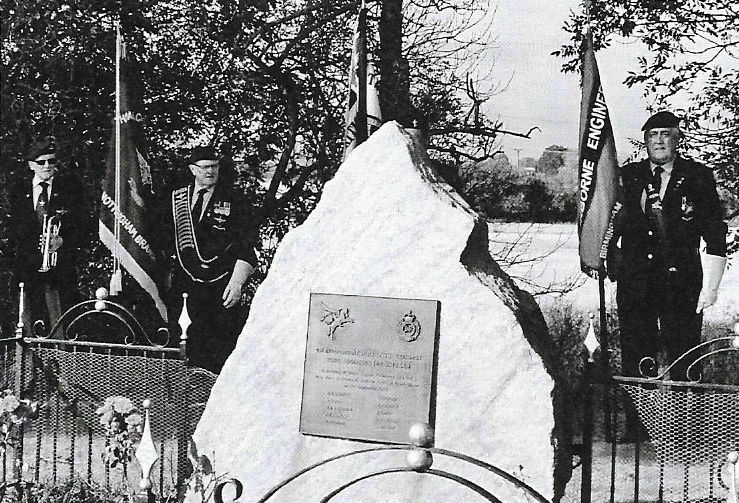 PRA Newark, which organise the annual memorial service is to be commended for their dedication in keeping their memory to the fore. We offered our thanks to Am Andrews for his hospitable invitation to all who attended to his home for refreshments again many thanks Am. Next year (2019) is the 44th anniversary of the tragedy, which Birmingham hopes to organise with Newark. And so to Chatham Branch's excellently organised and most enjoyable AGM and Gala Dinner and Novembers annual Remembrance Service and parade at the Cenotaph. John Ferry deserves all the plaudits for his patience in obtaining and distributing those passes allocated to the AEA. We also thank him for his service as Chairman for the past seven years- good luck with the pipe band John. A couple of names of those who make the difference — Tom Smith for organising a monthly Curry/ Chinese meal attended by family and friends and Roger Howells who initiated our monthly Breakfast Club where the world is put to rights and no business is carried forward. Refer to our scribe Steve Brown's monthly minutes for venue and timings if you are in the area. We also thank Tom and Roger for planning/organising our Christmas dinner for which all seats have been booked. And lastly we remember those who were so recently with us but sadly no longer so- may it be with a fond smile. Roy Hicks, Capt. Ian Butler, Bunny Brown, Dave Bowron and Ray Sands. Also family members who are such an important cog in the wheel of our Association. May their passing be a reminder to us all — do or say it today; Tomorrow, who knows? We wish one and all a Very Happy Christmas and a New Year full of good health, peace and laughter. The Christmas Branch dinner was held on the first Saturday of December 2017 which was once again very well attended and was a very pleasant evening. The food was very good and the wine better although the drinks prices were a little high even with a discount on the beers. There was a good turnout from other associations within the Birmingham area and also further a field in return of the branch supporting other associations within the area. The evening's entertainment was a very good all round singer who sang songs from different eras and got the dance floor bouncing, this was supplemented by the usual heads and tails and a raffle which raised a decent sum for the branch funds. A resounding success and even better that the cost was negotiated to be less than previous years. A vote of thanks went to Tom and Ann Smith with Roger Howells for organising the event. The 2018 Christmas dinner will be held on the 8th December 2018. January, February and March. Was a fairly quiet period except for a branch Curry evening on the 21st March 2018 and attended by 23 members and partners. This was a successful evening with the purpose of getting the branch members and partners together for a sociable evening and seems to work rather well. Hopefully more to follow. In April we held our branch AGM/OGM at which there was a new committee voted in. The current Chair John Phillips said that he would stay in post for another year so long as this was agreeable with the branch. Neville Collins volunteered to stand in as Vice Chair and this was accepted. Tom Smith has taken up the post of Treasurer after Elsie Barrett decided to step aside for personal reasons. Mike Holdsworth was standing down as Secretary due to him taking up a post with a local Rotary Club. No nominations for Secretary were forthcoming. Steve Brown volunteered, again, for the post on a basis of one year appointment to keep the branch ticking over. The post of Welfare officer was put on hold until this post can be resolved as the current member; Tony Higgins was unable to attend. Eamon Smyth volunteered to take up the post of Membership officer. Tom Smith and Roger Howells stay on as entertainments officers. The remainder of the committee remained mostly the same. Onto welfare matters, Bunny Brown has been diagnosed with a lymphoma brain tumour for over 12 months now and is receiving support from Macmillan Nurses along with his wife Jan,(who works tirelessly) family and friends. Dave Bowron has you may know has had both legs amputated above the knee due to an ongoing medical problem. Mike Holdsworth had an appeal out for a collection to furnish Dave with a lightweight wheelchair and this was achieved by generous donations from the Birmingham branch and 299 Association especially. Alan Brough continues to make steady, but slow progress after his surgery for cancer. George Barrett is making steady progress also after a skin problem. and also included was the collections from a Christmas carol gathering at Tom and Ann Smiths house before Christmas. The branch is looking at organising a weekend trip to Duxford this year. June - Members attending the PRA Commemorative Memorial at the NMA, Alrewas. November - Remembrance Sunday Cenotaph and local events. December - Christmas Dinner 8th December. The recent months have been busy for those who wanted to be a part of tours and social events organised by other Associations and our own members. Members visited Normandy during July with Bedworth PRA and Arnhem with 299 Association. Both were well organised and enjoyed by those who went and new friends made. Steve Brown organised two Indian curry nights which were a great success especially one for Bunny to meet his friends outside hospital environs. A small group of AEA members, with those from Newark PRA, attended the commemoration at the monument erected to the memory of our fellow Sappers lost at Cromwell Lock. 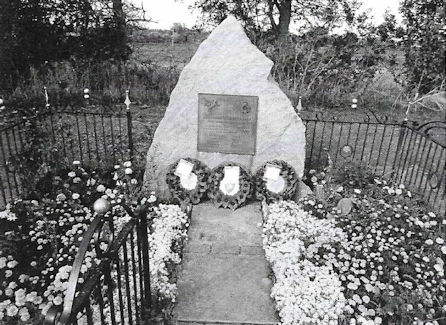 Matters are now in hand to plan for the 2019 commemoration of the 45th anniversary of the tragedy with AEA Scotland and families and Newark PRA. 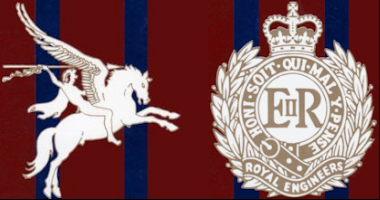 We supported and enjoyed the company of members of The Parachute Regimental Association and later with Royal Regiment of Fusiliers at their annual dinners and some intend to attend our Christmas Dinner on 2nd December. The recent AGM and Dinner in Hull organised by 299 was faultless in its planning and execution. The Saturday recce led by pathfinder Gaz Coe, of numerous city centre ale houses was a fitting start to a very enjoyable Dinner. Well done to all at 299 who had any part in a good weekend. Sorry to report that the Boot and Beer tabbers have not been out and about since Bunny has had to pack his boots away whilst he's been poorly. Must try harder despite the weather! After many years (16?) our Treasurer, Elsie Barrett has resigned for personal reasons. We wish both Elsie and George, our President, well and hope to see them soon at our meetings. At the AGM Birmingham Branch had the good news that Steve Brown had been presented with our President's Commendation for his many years' service as Secretary and organiser of many social events. Thanks and well done Steve. We send our best wishes to all our AEA long term sick, which recently we seem to have had more than usual, a speedy recovery back to good health. Birmingham Branch wish all members, wives and partners a Merry Christmas and Prosperous New Year.